Dream of a splendid costume? 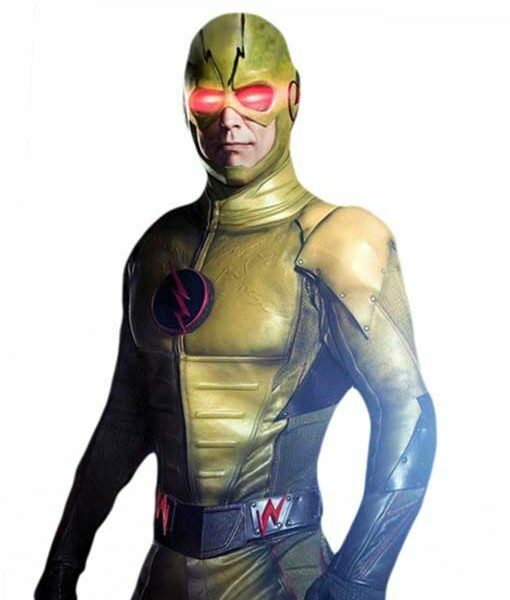 Here is a Reverse Flash Jacket that is one of the precious attire depicted by Dr. Harrison Wells in The Flash TV Series. 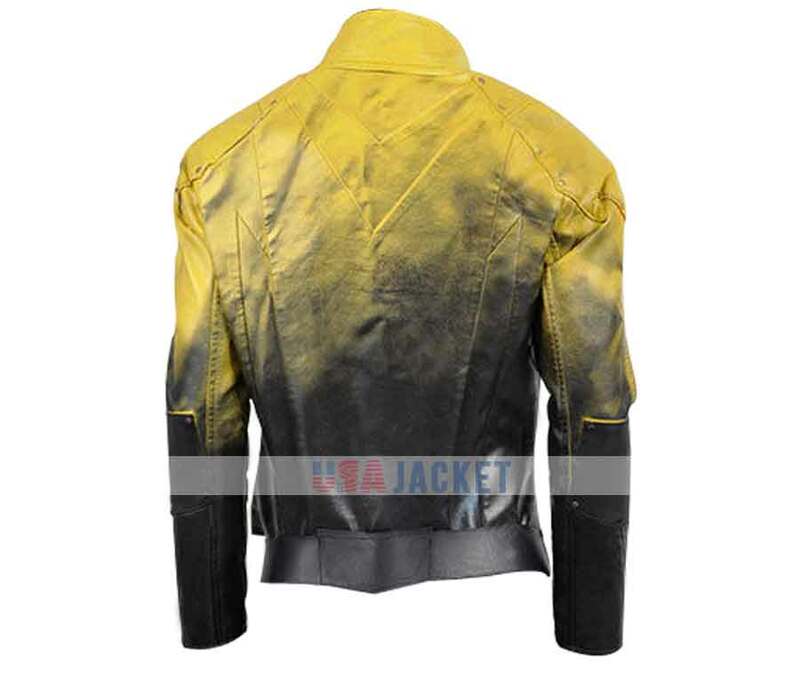 The role played by the Tom Cavanaugh with his total treat and tempting apparel of the Yellow Jacket. The jacket is shaped from PU leather material with viscose inner for your coziness. 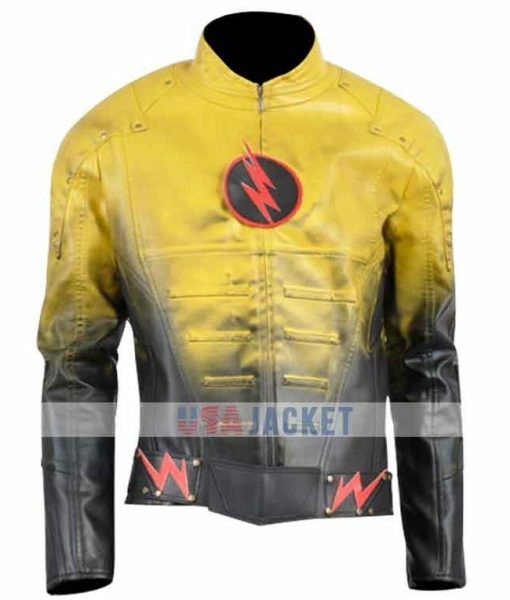 Flash Yellow Jacket is iconic apparel of a speedster that you will love to have in your wardrobe. 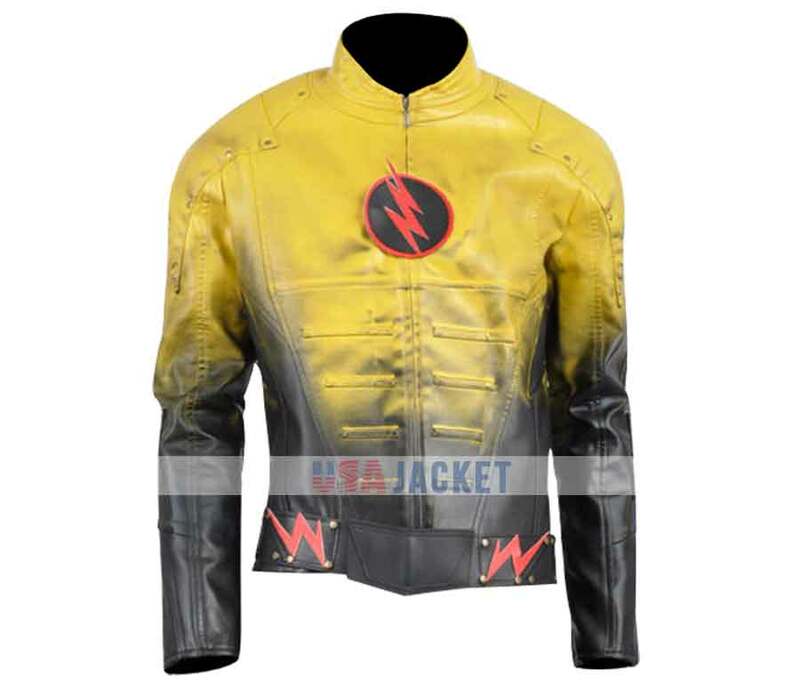 It covers erect collar with front zip closure and a Reverse Flash logo on the chest. 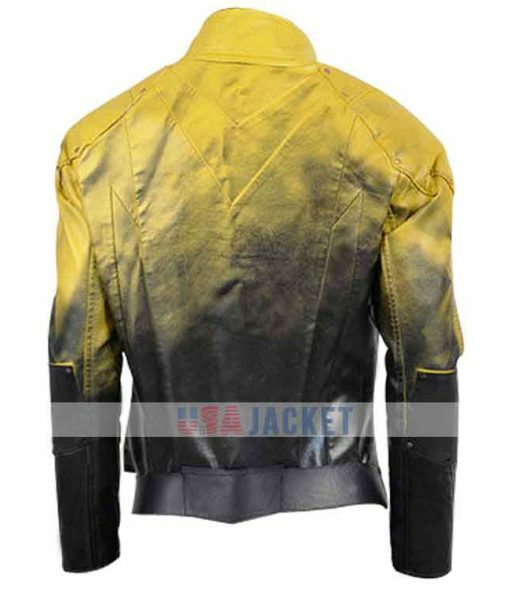 It is made to deal with the tangible feature of the jacket and design to give a heroic look same as a flash exterior.